Even more exciting was seeing the variety of successful graduates from our full-time programs who were there to greet fans and show their work. 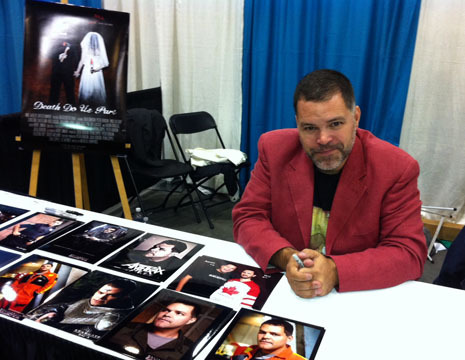 Aaron Douglas, known to many as Chief Galen Tyrol on Battlestar Galactica and Frank Leo on The Bridge, is a graduate of our Acting for Film & TV program at the William Davis Centre for Actors' Study at VanArts. Aaron is among the cast of the upcoming thriller Death Do Us Part, which was being promoted at the Expo. 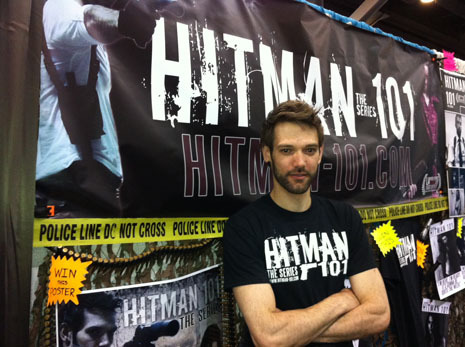 Georgie Daburas, another graduate of our Acting Department, is currently receiving accolades for his lead role on Hitman 101, a locally-produced web series. 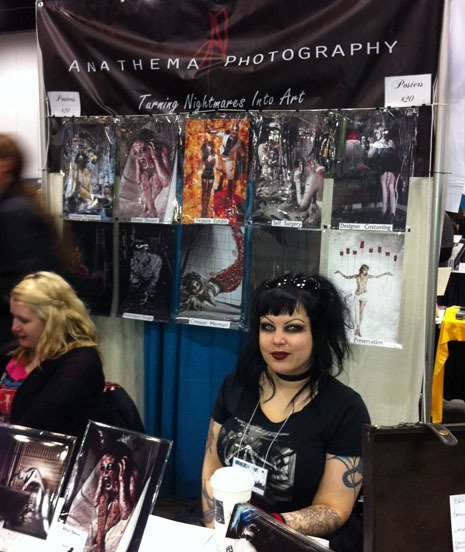 Danielle Anathema, a graduate of our Digital Photography program, has launched her own business for her horror-themed photography, and had her own booth at Fan Expo to showcase her art. Dan Schoening and Nina Matsumoto are graduates of our 2D Character Animation program, who have both made a big name for themselves in the comics industry. 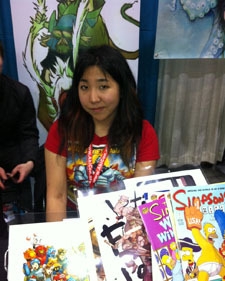 Dan has produced art for a number of clients and created a series of Ghostbusters comics, and Nina has won an Eisner award for her work on The Simpsons comics. It's great to see the Force is with our star grads who are pursuing their dreams and getting to meet their fans. 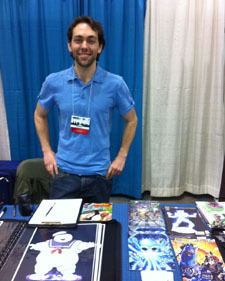 Be sure to look for us at the Calgary Comic Expo this weekend and Toronto's Fan Expo in August!